Pinterest pin it button for images, Pinterest profile follow box, Pinterest follow box for blogger, How to add pinterest follow box in blogger, 101Helper gadgets for blogger. Pinterest is a social network similar to twitter, here you can share images along with links. You can share images from a link also, all you have to do is to paste a link and pinterest will show all images from that webpage, now you have to choose which image do you want to show with the link. It is a very interesting social network specially for bloggers, here they can post links of their posts along with images which is good for seo also. 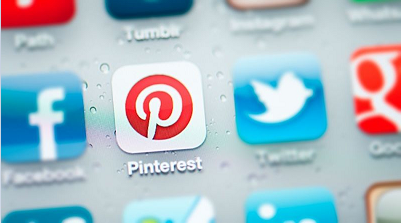 Just like twitter, pinterest also provides a follow box which can be added to blog or website to get more followers. 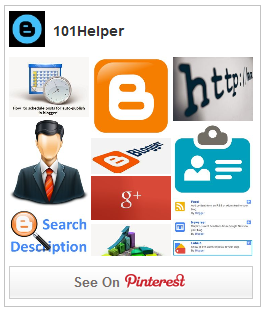 Step 4: Replace https://www.pinterest.com/101helper/ with your profile link and 101Helper's with your profile name. If the follow box is not working try below steps to add Pinterest follow box manually in your blog. Step 1: Go to https://www.pinterest.com and log-in to your account. Step 3: Click on "Make a widget" and copy code of your pinterest follow box. Step 5: Click on save and you are done successfully. Hope you like this post, follow and subscribe to get latest news about blogger gadgets. Share this post and help me spread 101Helper. Search tags: Pinterest pin it button for images, Pinterest profile follow box, Pinterest follow box for blogger, How to add pinterest follow box in blogger, 101Helper gadgets for blogger.